Photo by Flickr user Jose Luis Orihuela. On January 24th Barbara Walter wrote a fascinating blog entry entitled “The Text that Changed the World”. 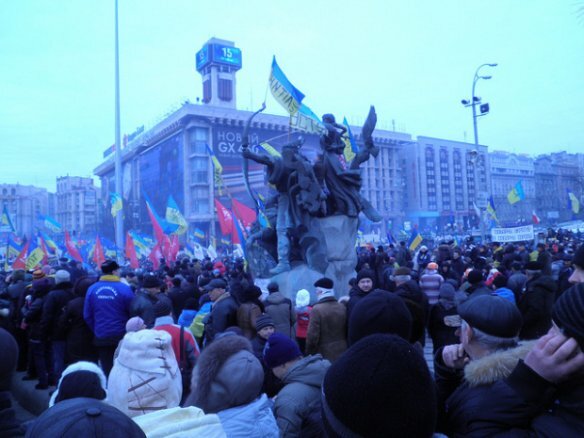 It noted that the “Ukrainian government” had issued a text message to “thousands of protesters” effectively telling them that they had been busted (i.e., they were identified as participating in a protest event). While it is useful to think about the impact of this action on subsequent challenging behavior, given my interest in the end of repressive action it seemed useful to reflect for a moment as to how the text might be relevant.